The Galaxy S7 is about to hit stores worldwide. With this handset, Samsung has built upon all the strengths of its past phones to deliver a new standard in mobile technology. The S7 is not perfect but it is one of the best Android phones currently on the market. 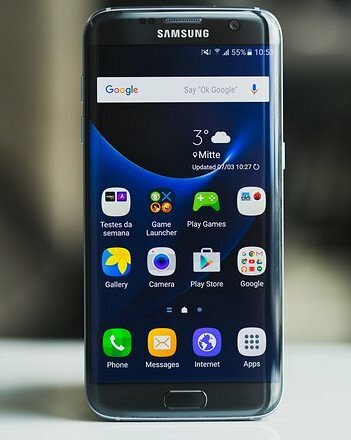 The Galaxy S7 Edge has been available for pre-orders since it was launched in February, but it officially goes on sale on March 11. AT&T is selling the device for US$794.99, T-Mobile for US$779.99, Sprint for US$728 and Verizon for US$792. It’ll be available with 32 GB of internal memory in gold, black and silver. Bear in mind that carrier pricing can vary by plan and location. Why Should You Backup Your Samsung Galaxy S7/S7 Edge? Life was like a box of chocolates. You never know what you're gonna get. Also, you never know what will happen with your phone tomorrow, accidentally reset of your Samsung Galaxy phone? Phone stolen? System update without backing up? Or water damaged? When it happens, you are going to lost your precious phone data, such as messages, music, contacts, notes, videos, etc forever without previously backup. So, you need to back up your Samsung Galaxy S7/S7 Edge until you reset your phone, or just in case of any accident. And You need a safe and esay way to backup your Samsung phone data as soon as possible. How to Backup and Restore Your Samsung Galaxy S7/S7 Edge Safely? If you are a iOS device user, backing up iPhone, iPad or iTouch just a piece of cake for you, because iTunes and iCloud already has your back. However, if you are an Android user, you might need a third-part Android Backup and Restore tool. Just try this Professional Samsung Backup and Restore Tool - Syncios Data Transfer. 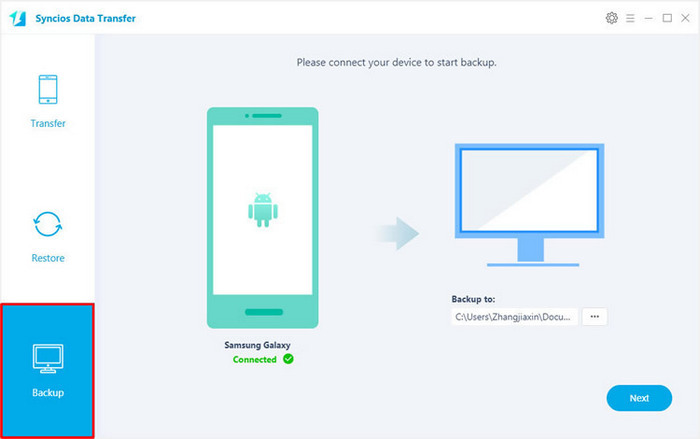 You are able to one-click to backup everthing from your Samsung Galaxy phone to your computer safely and without any data loss, including contacts, text messages, call logs, music, photos, and videos etc. 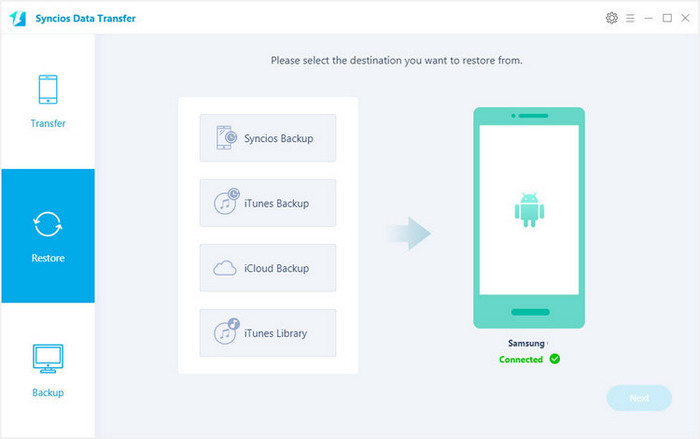 Of course, you can restore those backup data back to your Samsung mobile phone or new Android device and iOS devices, whenever you want. This handy tool also supports phone-to-phone data transferring. There are both Windows Version and Mac Version available for you to do the Huawei data backup and restore. Please dowmload a suitable version according to your computer’s operation system. Now you can backup and restore your Samsung Galaxy S7/S7 Edge just with one click. Step 1. Launch Syncios Program and Connect Your Samsung Galaxy S7/S7 Edge to PC. Open this professional Samsung Galaxy S7/S7 Edge data backup & restore tool on computer, connect your Samsung Galaxy S7/S7 Edge to PC using the cable provided with your device . And you now can see the primary window of Android backup app. Click the Backup button. 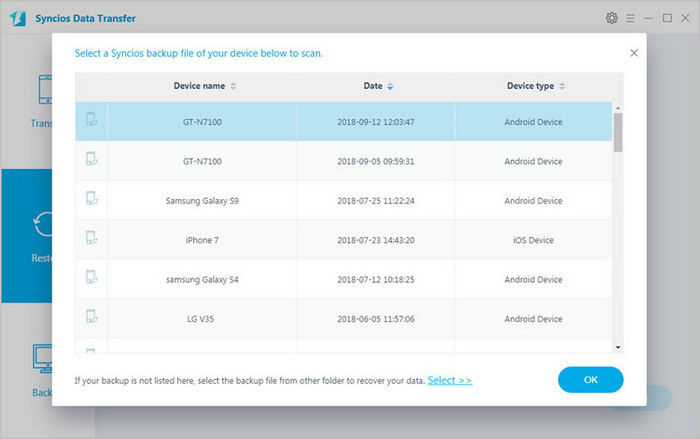 On the right side of the panel, you will also have the option to change or choose the location of the backup data. Select the [...] button that appears beneath the computer icon and select the location where you would like all data to be saved. Tap "Next", then it would display the the backup list. The following screen will allow you to select items you would like to back up onto your computer. After making sure your data are chosen, click Next button in the right bottom. 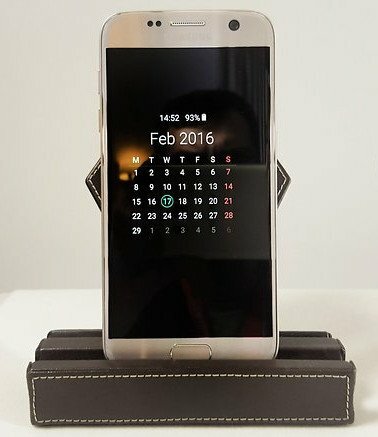 During this time, make sure your Samsung Galaxy S7/S7 Edge phone is not disconnected from the computer. After a while and all the data will be restored into your Samsung Galaxy S7/S7 Edge Compact, you will get the pop up message Copy Completed. Click OK, the backup folder will automatically open. After backup completed, go to the homepage of Syncios and you will see the Restore option. 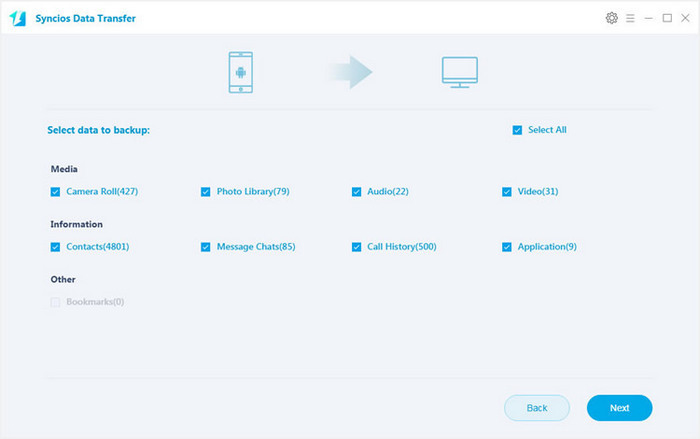 Simply connect your new Android device, then click Restore. If you would like to move Huawei Mate 8 backup files to your new iOS device, please connect your iPhone, iPad or iTouch and click the Restore button. Step 2. Restore Your Samsung Galaxy S7/S7 Edge Phone. Now you can select your previous backup files from the list. Check data you would like to move to your Samsung Galaxy S7/S7 Edge on the middle checkbox. Click Next button, all of your selected files will be restored to the target device. The first thing that you are going to want to do before resetting your Android phone is to make sure that the important information that’s currently saved on the phone is backed up to a place other than the phone. Fortunately, with the powerful Huawei manager, you can fulfill the backup task so easily and quickly. There is no need to worry about lost phone data any more. Just now, download Syncios Android backup and restore tool! How to Transfer Music to Samsung Galaxy S7/S7 Edge? How To Backup and Restore Samsung Galaxy Note 8?